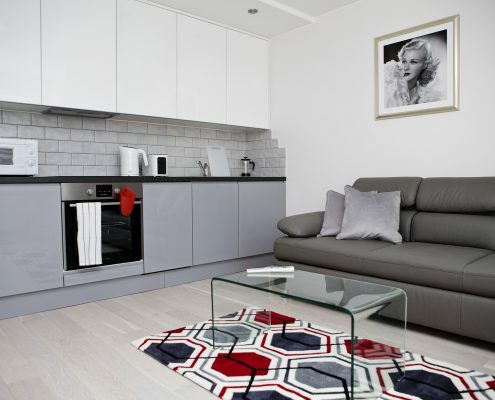 This brand new luxury two-bed apartment is on the fourth floor of a small block of holiday flats. 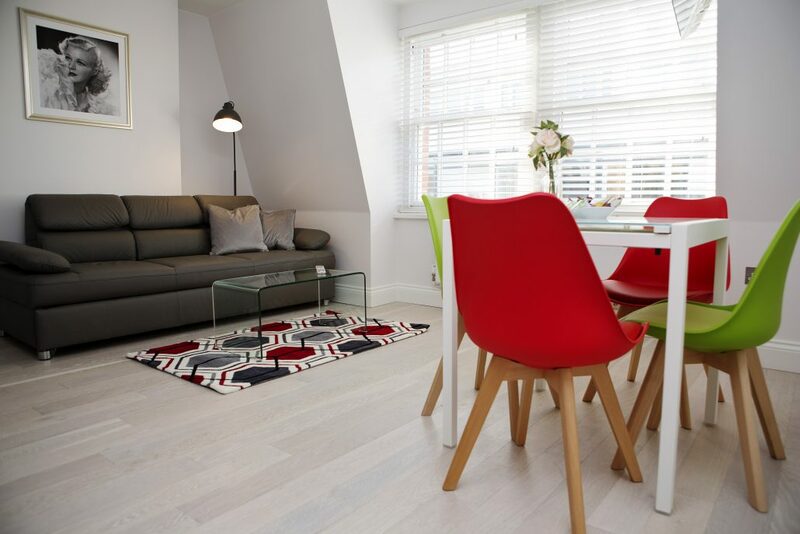 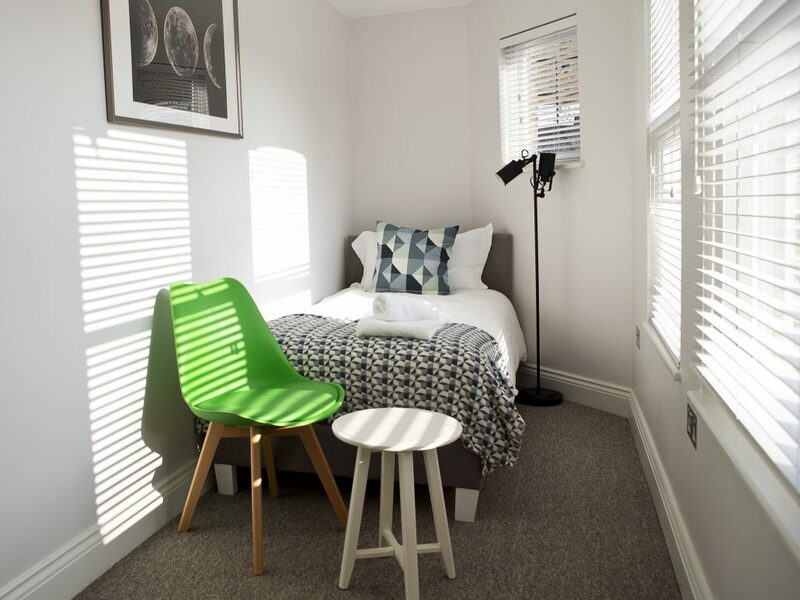 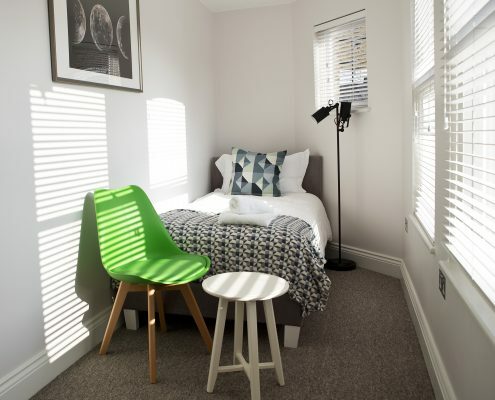 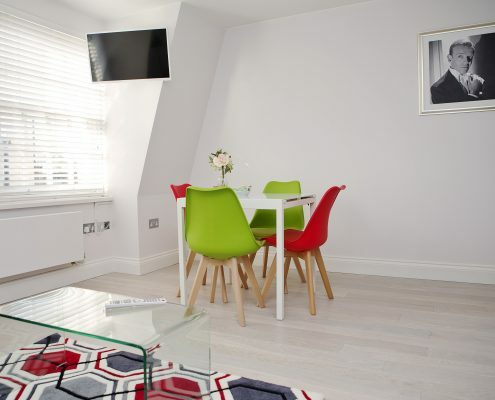 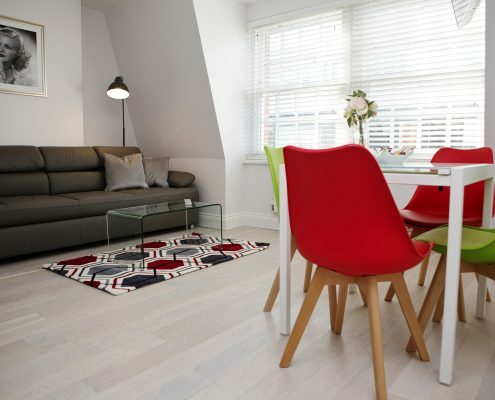 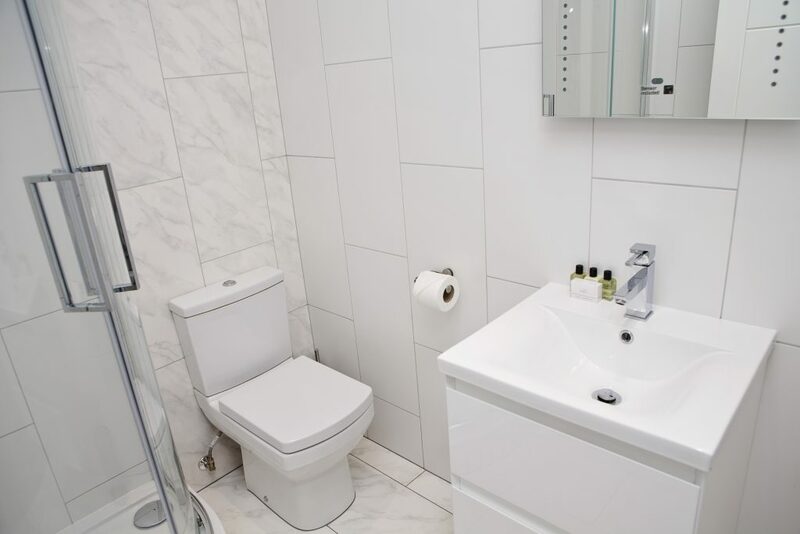 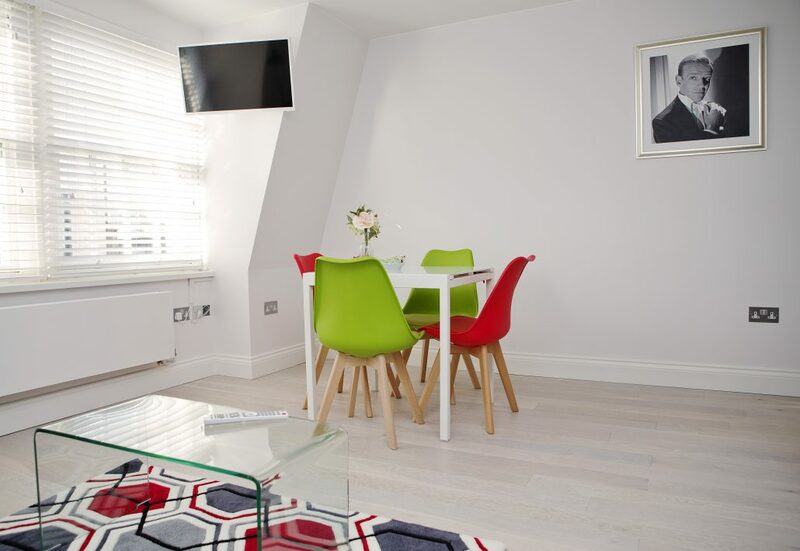 Newly refurbished in modern neutral colours, this apartment has one King size bedroom, one single bedroom and one bright spacious kitchen/lounge. 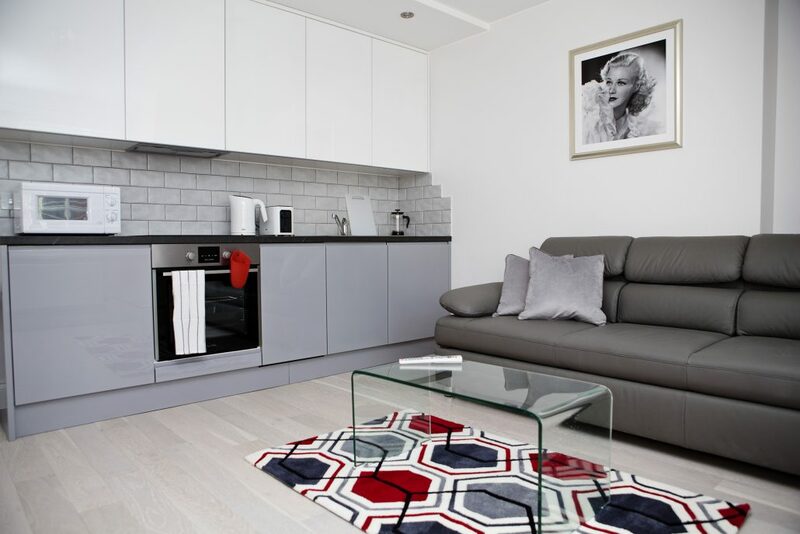 The lounge area contains a plasma TV and a 3-seater sofa-bed suitable for two adults. 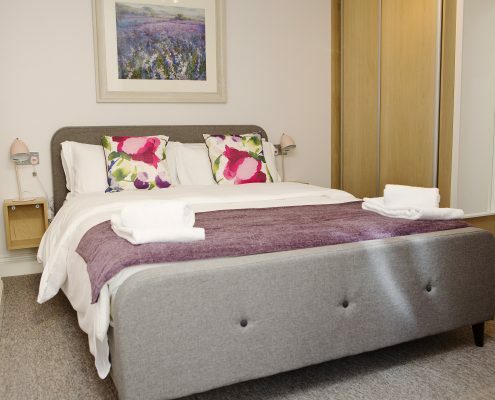 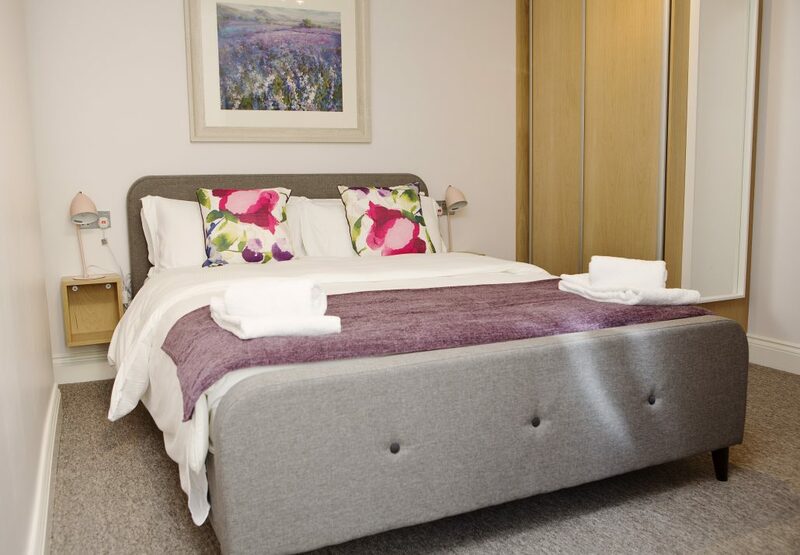 Sleeps: up to 5, 1 king size bed, 1 single bed and 1 sofabed.